You need immediate stopping power for your luxury car or sports car. As Jaguar brake repair experts in Minneapolis, we install premium brakes that ensure your safety on the road. From metal to ceramic to organic brake pads, we install any type that you need based on your preference and budget. Our Minneapolis brake specialists also provide complete brake replacement. Depend on the skilled mechanics at DJ Foreign Auto Care to utilize the latest technology for proper Land Rover brake repair in Minneapolis. Since brakes are critical components of your SUV, it’s important that they are in excellent working condition. Whether you need simple repairs or complete Land Rover brake replacement, we are your one-top for complete brake services. Your Land Rover’s transfer case allows your car to use the correct amount of torque when you accelerate. You’re not going anywhere if it’s broken. 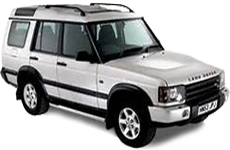 Turn to our Minneapolis auto repair experts for Land Rover transfer case repair for diagnostics, repairs, and replacements. Your Jaguar’s differential system allows for smooth driving on the road. It helps your wheels move at the correct speeds when turning. When you need Jaguar differential repair at our Minneapolis auto shop, your ride has probably become bumpy and unsteady. At DJ Foreign Auto Care, we are experienced and trained at repairing differential systems for all makes and models of Jaguars. Do you hear strange noises while shifting or driving at certain speeds? Does your car slip out of gear while in motion? If so, you may need Jaguar transfer case repair at our Minneapolis auto repair shop. Our ASE-certified technicians have the right tools and experience to provide accurate repairs and ensure your Jaguar performs optimally. Because a differential system permits your car’s wheels to move at different speeds, a broken component dramatically diminishes your driving experience. Enjoy smooth turns and quiet driving when we provide Land Rover differential repair in Minneapolis. We can stop the annoying noises while your vehicle turns.